faster. Would you rather do 15 minutes of cardio, or an hour? Yeah, I thought so. What is the purpose of intervals or Metabolic Finishers? something was misunderstood and they had to hide stuff? That was a good one. investment as far as time. Plus, you save around 45 minutes! There is also research that shows that steady-state cardio can increase your appetite. Talking about a poor choice of exercise… just sayin’. But wait, it even gets better. What if we did “interval” training with exercises? resistance exercise for that matter? Would we burn even more calories? Yep. muscle, thus giving us more of a caloric burn. Nice, huh? This is why at AXIOM we use Metabolic Finishers. So, on your strength days add Metabolic Finishers at the end of your workout to keep the fat burning torch hot! Also, replace your long boring cardio sessions with interval training or Metabolic Finishers. You will preserve muscle, keep your appetite at bay, and cut your time in the gym. Finally, Metabolic Finishers are great for when your crunched for time or your looking for an off day workout. Do this for 10-15 minutes with as little rest as possible. Hope you enjoyed the long weekend with your loved ones in celebrating Christmas Holiday. This is the week if you are considering to get fit for the New Year. We want to share with you why we feel our 90 Day Challenge is the right choice for you. Here are the 10 Reasons to Join the 90 Day NYR Challenge. When most people think about losing weight or getting in shape, they think about exercise. They sign up for a gym, hire a personal trainer, or grab a book or a magazine to find a workout plan. But while exercise is a crucial part of losing weight and getting healthy, I’d argue that it’s not the most important piece. Research shows that with exercise alone you can expect to lose only about half a pound to one pound per month. That’s less than inspiring. Sad, really. So if exercise alone gets dismal results, what does work? Simple: Focusing on nutrition and eating habits with a program that combines a support system and group training, you can expect to lose five times more fat in the same one month period. TAKEAWAY: Sound nutrition is the key to fat loss. 2. Find a big motivator. We’ve all heard that to make a big change, motivation must come from inside. And it’s true. We all need a “reason why” – a real purpose and a sense of why losing fat and getting in shape is important to us. But sometimes you need extra motivation to actually start making change. You need a big motivator that pushes you into action. Join the 90 NYR Challenge and get the chance to win $500 cash and free membership for the rest of the year! That is a big motivator in itself! TAKEAWAY: What’s your big motivation? How can you make it even bigger? 3. Find something to lose. Throughout your body transformation, you need to be held accountable. There needs to be something at stake, something to lose if you don’t follow through or if you drop out early. We take away all of the risk by guaranteeing results as long as you stick with the program. We do enforce your full commitment to the program. The principle here? The harder it is to quit, the easier it is to succeed. TAKEAWAY:Raise the stakes and put something at risk to keep you going. 4. Choose proof over theory. Most people get lured into trying out untested theories, and have only disappointment and wasted time to show for it in the end. No one wants to start an exercise or nutrition program where the success rate is zero. Yet a lot of people invest their time and money in something where they’re not quite sure if it works. We at AXIOM strive to give you the best results with the best program. It’s what we do…It’s what we love to do! TAKEAWAY:Commit only to a proven program, and leave the theories for everyone else. 5. Do one small thing each day. “If something is important, do it every day; if it’s not important, don’t do it at all.” That’s especially true in body transformation. Make one improvement in what you do when it comes to eating, moving, and thinking. If you don’t you will get overwhelmed. Sadly, some of you find this out the hard way. You make a heroic effort to change every part of your life, from the time you wake up in the morning to the kinds of foods you eat to adopting a new workout program and dozens of other changes. This all-or-nothing attitude may work for a week or two, but pretty soon you’ll crash and burn and be right back where you started. That’s why it’s important to practice one small thing at a time instead of trying to make a mad-dash for the finish line. Focus on TODAY! Do not worry about the past or future. TAKEAWAY: Turn your commitment into a single, daily action. 6. Make it a little too easy. Most people attempt to change too much at once. But that makes it nearly impossible to change anything at all. That’s why whatever one small thing you decide to do, you must be confident that you can do it consistently. A habit doesn’t become a habit by practicing it only a few times. If the answer is a 9 or a 10, you have your new habit and can start practicing it immediately. But if you answer anything other than a 9 or a 10, you need to make the habit easier until it becomes something you’re confident you can do consistently. If your one small habit is to eat five servings of vegetables every day, you must answer with a 9 or 10 before starting. If you don’t answer with a 9 or a 10, you simply need to make it easier. Instead of eating five servings of vegetables every day, could you eat 3? What about 2 servings of vegetables every day? What about 1 serving of vegetables every day? Whenever you can answer a 9 or a 10 – “Am I confident I can do this habit every day?” – you have your new habit. During the process of scaling down your habit, you may realize it seems ridiculously simple. It may seem too easy. That’s perfect. If it seems so easy that you have to roll your eyes, you know you can do it consistently. And you can gradually increase the difficulty over time. TAKEAWAY: Make everything you commit to easier until you have 90%+ confidence you can do it. 7. Find someone to answer to. You need someone in your corner who helps keep you accountable and picks you up when your motivation wanes. 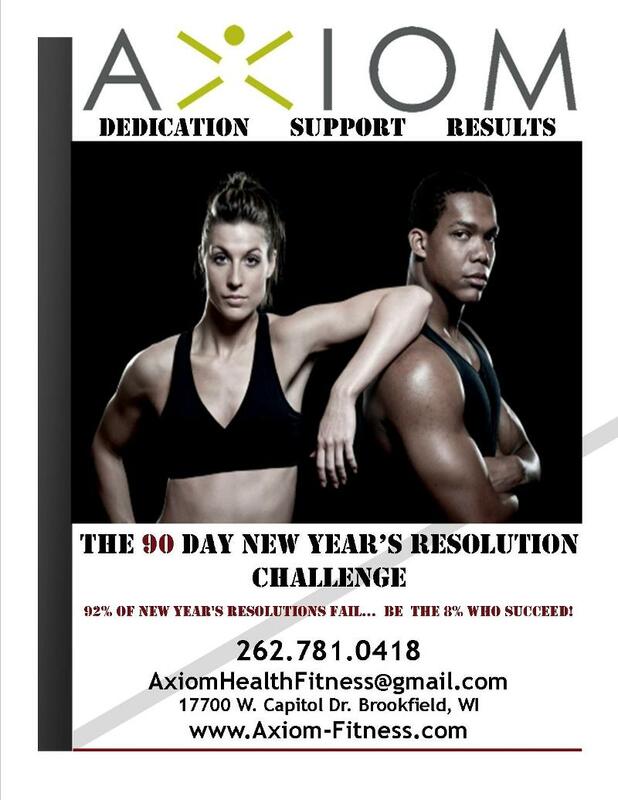 AXIOM will be in your corner for the full 90 Days. We will host bi-weekly support groups to help keep you on track. We need change is not easy so it is crucial you attend these sessions. TAKEAWAY: Put someone (AXIOM) in your corner to hold you accountable. 8. Measure Actions, Not Outcomes. We can’t control outcomes, but we can control our actions that may lead to those outcomes. In other words, you can’t focus on losing 20 pounds since it’s an outcome that’s out of your control. Every day you step on the scale, you’re focusing on what you don’t have. Instead of focusing on the outcome, our clients focus on their action, the small, healthy things they do consistently every day. Instead of focusing on what they don’t have, they turn their attention to what they do have. Actions practiced daily and built up over time, lead to amazing results. Focusing on outcomes only leads to frustration and despair. TAKEAWAY: Track what you have control over – your actions. 9. Let your coach (AXIOM) track results. While you’re busy with your daily habits and behaviors, you’ll need someone – a coach, a trainer, a friend who’s made a similar transformation – to monitor your progress and make small adjustments if needed. This frees you to focus on the most important thing within your control: your daily behaviors. We will track your results on a monthly basis and tweak the areas that need adjustments to keep getting results. 10. You need a support group. With a good support network you can connect with people when you’re excited, confused, or wondering what to do next. You’ll have people around you who can offer feedback, guidance, and support. Our bi-weekly support group will help you be successful! TAKEAWAY: People who have a strong support group often have more dramatic transformations than someone who goes at it alone. Let me remind you some of the qualifications and mindset you must have in order to succeed! THE WILL AND DESIRE TO OVERCOME FEAR OF FAILURE! TRUST AXIOM AND IT’S PROFESSIONALS! GIVE 100% EFFORT TRAINING & EATING PROPERLY! KNOWING YOU WILL DISCOVER THE NEW YOU IN 90 DAYS! We hope you can see the awesome value you will get with your investment! All of you will get the personalized attention and service to make you succeed over the 90 days! THE 90 DAY NEW YEAR’S RESOLUTION CHALLENGE! You will be successful when you dedicate yourself to the full 90 days and have the training, support, and proper nutrition plan. This challenge is the most extensive program we have put together to make sure you look and feel great! We have spent countless hours to give you the best system money can buy! 100% dedication to push you to maximize each training session. Cutting-edge training and workouts to maximize fat burn/lean muscle growth. Customized nutrition plan specifically designed for your needs. Bi-weekly support group to keep you motivated, inspired, and stay the course. Herbal Teas, Supplements, and Hot Oil therapies to support your nutrition and clean out your body. 1 on 1 consultation to create your plan of action and set goals. SATURDAY DEC. 31ST 10:00 A.M. ANYONE WHO DOES THIS CHALLENGE WILL SUCCEED and it is our job to make sure you do! The first week of 2011 is complete! 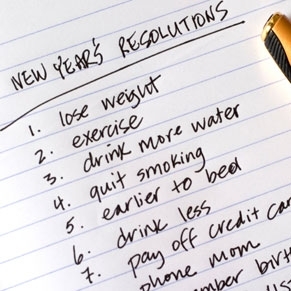 Did you stick to your New Year’s resolutions? We want to hear how many times you worked out last week, and be honest! If you’re struggling with your workout plan, be sure to check out our website and try out our boot camps for only $89!